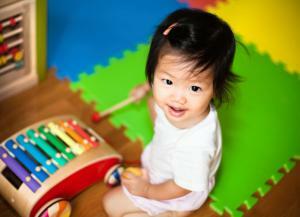 ACTWC offers music therapy services! Look and listen for updates on new music therapy programs. We are now receiving referrals for individual and group sessions. Call our office at (919)844-6611 for more information. Abilitations Children's Therapy seeks to provide music therapy services of the highest quality to children and adults with special needs in the Triangle community. Ø Recognize of the role of music as a force of change in individuals, groups, and the community. Ø Attract the best qualified music therapists that are talented and innovative. Ø Commit to lasting relationships with its clients and patients. Ø Engage in collaborative and interdisciplinary efforts with other professionals. Ø Provide continuing education and professional supervision for all of its employees. Ø Always place the client or patient as the top priority in providing individualized care. None at this time, please check back for future dates. How do I get music therapy services? Private Clients - All new clients will be assessed to determine strengths and needs. The client will then become registered and a weekly session time will be set. Institutions/Facilities – Program coordinators must contact us to receive pricing and service information. How do I know what session format is best for me? Private Clients - ACTWC offers weekly music therapy for individuals (30, 45 or 60 min. ), pairs (60 min. ), and groups (3-5 people per group for 60 min.). There are advantages to all three formats, so please contact us to find what is best for you. Institutions/Facilities – CCMT will work with the program coordinator to determine the right session format. Private Clients - You may choose to receive music therapy services in the convenience of your own home or at our office. Institutions/Facilities – A music therapist will come to your facility. Private Clients - New clients may register at any time during the year by setting up an assessment. Please contact our front office to set up an assessment. Institutions/Facilities – Please contact us for more information.